St Pancras station has a number of opportunities to catch up with Santa. 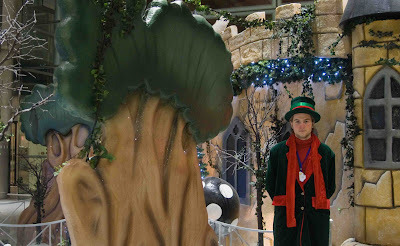 A visit to his grotto and his charming helpers to make your last minute requests. Breakfast with the jolly chap is also on offer if you are an early morning traveller. Is that just so you can get your wish list in before you head out of town? Very clever. Breakfast with Santa?! Well if he's got time time to spare we've got nothing to worry about. I'll wrap my presents tomorrow!